I’ve been interested in ham-radio applications for micro-controllers for a very long time. 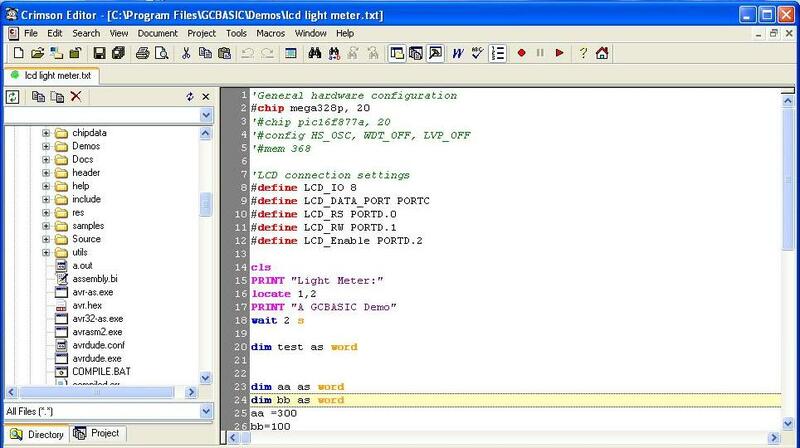 My preferred development language is Basic, or whatever decent variant of Basic is available for the micro-controller part I’m using in my application. I’ve done a lot of work with PIC’s using the very capable PicBasic Pro com piler from Melabs. I’ve also evaluated just about every other PIC Basic compiler known to man. There are some very good ones out there including Swordfish Basic, which is about the finest structured Basic development environment I’ve seen. Unfortunately, unless you want to live with a ‘crippled’ evaluation version, all the good ones cost over $100. For the ‘everyman’ ham experimenter, this is just too much. Free would be much better. Over the past year or two, I’ve been working with a very nice compiler called “Great Cow Basic” (don’t ask; I don’t know), or “GCBasic” as it’s commonly called. GCBasic is the brainchild of Hugh Considine & crew over at the SourceForge community and it’s a free download. What’s really cool about GCBasic is that it can compile your Basic code into object code for most PIC’s as well as most AVR chips, and its open source code is also written in a version of Basic (FreeBasic). This opens the possibility to use the microcontroller of your preference, and also the ability to buy inexpensive hardware platforms such as Arduino boards for use with your Basic programs. This theme of low cost hardware platforms programmed with free, open-source, easy-to-use software development tools, is a theme that will permeate this site. I’ve put together a package of freely available programs that you can download to build a very nice PIC/AVR Integrated Development Environment (IDE). You can learn more about where to get these programs and how to make them all work together in my article “Setting up the GCBasic PIC/AVR development environment” .